Special Collections are pleased to announce the launch of their new online resource Page Turners. Using Turning the Pages software, Page Turners allows us to make some of the highlights of the bound volumes within our collections available within your browser. We’ve also added some information about the items to help with their interpretation. This post is to give you a brief overview of the first items we’ve made available, and consider how we might continue to make use of it to share our collections with you. 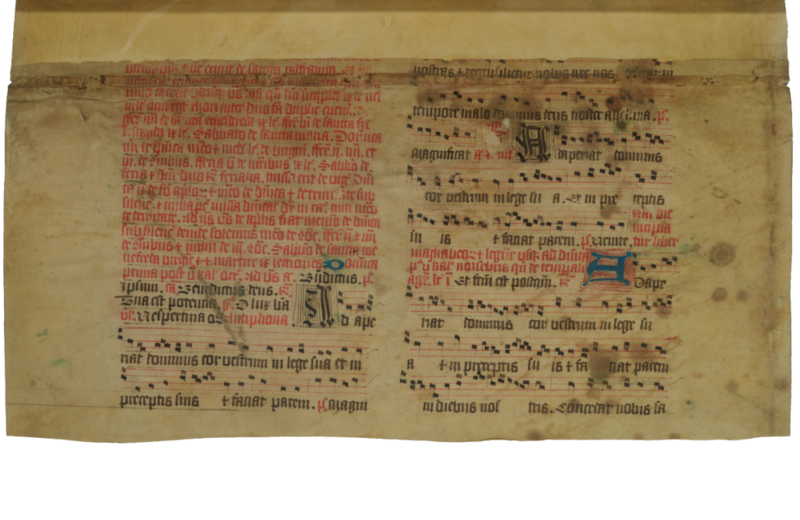 Petre’s Gradual is a 14th Century manuscript book containing ecclesiastical chants for services throughout the year. Very few graduals survive in Britain, with many having been destroyed during the Reformation. Early copies of this book had existed in the British Library, however the volume itself had been thought lost. It had in fact been held securely within Special Collections since the 1990s as part of a bequest from antiquarian book sellers Marjorie and Philip Robinson (after whom two of our library buildings are named). The volume then caught the eye of Dr Magnus Williamson during a teaching session in 2014. Since its rediscovery, the 500 year old polyphonic music it contains has been brought back to life with public performances. By featuring the Gradual on Page Turners, it can be appreciated, studied and used by scholars, musicians and any other interested parties, not just in Newcastle, but throughout the world. The second item now available leaps forward in time to the twentieth century. In 1914, Newcastle University’s Armstrong College was requisitioned for use as the 1st Northern General Hospital. 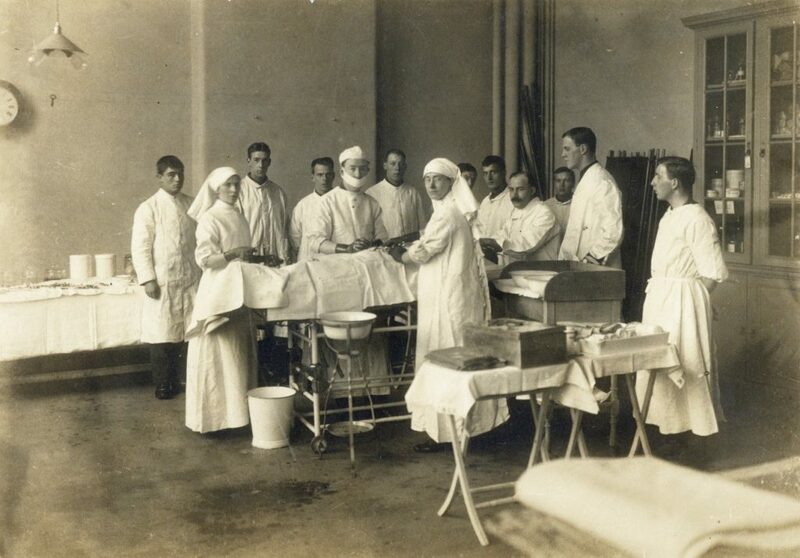 During its lifetime, the hospital treated over 40,000 wounded servicemen. One of the individuals tasked with requisitioning the building, and contributing to its operation was Professor of Surgery Frederick Charles Pybus. The University holds Pybus’ archive of personal papers, and these include a volume listing the operations he performed while working at the 1st Northern. Based in Ward C, which is now the Hatton Gallery, the book lists over 1000 operations performed by Pybus. Now available on Page Turners, this resource will not only aid historians studying the war, the hospital or the University, but may also provide valuable information for family history researchers, tracing the movements of individual soldiers during the conflict. The final item selected to launch Page Turners is actually the first instalment of an ongoing project. 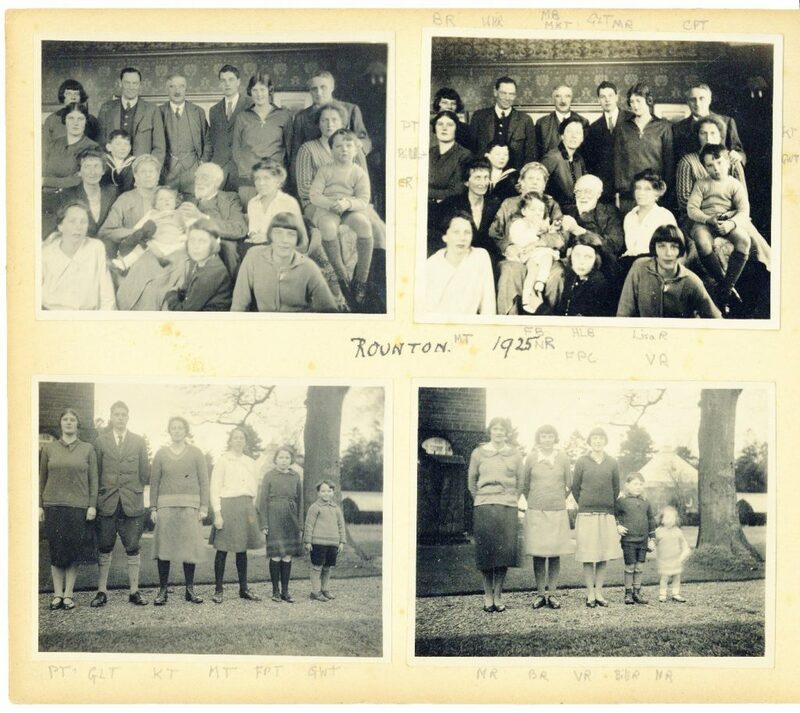 The University has held the personal papers of four generations of the Trevelyan family of Wallington since the 1960s. One of the most prominent members of the family was Sir Charles Philips Trevelyan (1870-1958). A Liberal then later Labour M.P., Sir Charles was the last of the Trevelyan Baronets to live on the family estate at Wallington and his Socialist beliefs led him to donate the estate to the National Trust in the 1930s. One of the most engaging areas of the Trevelyan archives is a collection of 39 photograph albums and scrapbooks created by Charles and his wife Lady Mary Katharine Trevelyan nee Bell [Molly] (daughter of industrialist Sir Hugh Bell and half-sister of Gertrude Bell). The albums reveal an intimate picture of Charles and Molly’s family life at Wallington and feature the couple’s six children, Pauline, George, Kitty, Marjorie, Patricia and Geoffrey. The albums have previously inspired an exhibition at the library, and in this first instalment, three volumes are being made available – Volume 8 (1917-1918), Volume 9 (1919-1921) and Volume 12 (1925). The family albums provide a captivating insight into the life of a landed, if somewhat unconventional family, from the late Victorian and Edwardian periods, through both World Wars, to the early 1960s. Page Turners gives us a fantastic opportunity to share unique items such as these from within our collections in a new way. We hope that you’ll enjoy browsing the materials available. If you have any comments about Page Turners and the items featured, or any suggestions of what you’d like to see next, do please get in touch. This entry was posted in Uncategorized and tagged Archives, Digital Resource, Page Turners, Petre's Gradual, Professor Pybus, Rare Books, Trevelyan by nspeccoll. Bookmark the permalink.